We love to talk about our pHenomenal products. We love it even more if someone else does it. Here you'll find a collection of different articles and magazines which wrote about our products. Unfortunately all articles are in German (except the Danish one). If you like to write an article or an interview just send an email to info@phenomenaldrinks.com. We love to support you with informations, serious knowledge about mixology and / or with drinks. 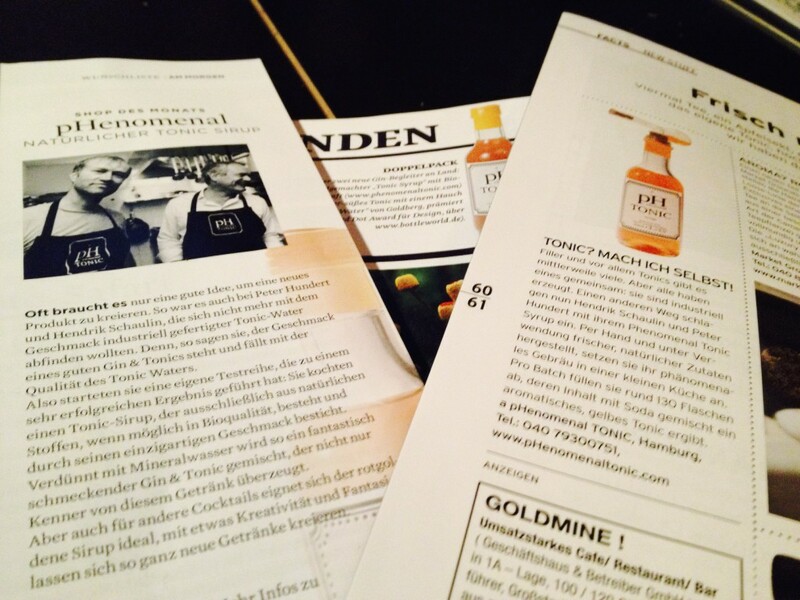 Gintastic.de hat unser Tonic probiert. About drinks, der Name ist Programm. Empfohlen von Fundstücke als „ausgesucht schöner Shop“. Tolle Magazine, die Artikel über uns gedruckt haben.